Hey everyone, it’s been a bit!! I’ve been getting my “ducks in a row.” Ivory had a minor surgery, and I landed a job that I’ve been needing!!! And to be honest I’ve been avoiding blogging outside as much as possible, because I’m the Grinch in Winter, and hate being cold, yikes! A few weeks back, I featured some pacifiers on my Instagram from the company Twist Shake Baby and months before that I featured their Anti-colic bottles that I’m OBSESSED with!! They come in a range of amazing colors, and I love how each bottle comes with a storage container built in-perfect for storing snacks as our babes get older! I will be choosing winner Friday December 16! 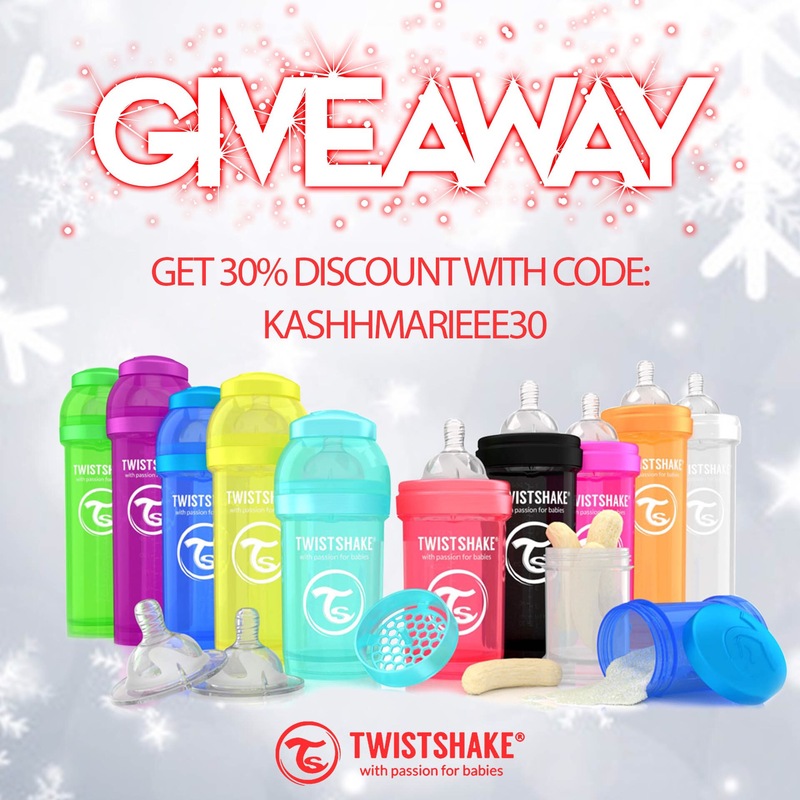 If you can’t wait for the GIVEAWAY to be finished and want to purchase something use my code ‘Kashhmarieee30′ for 30% off the entire range even items that are already discounted!!!!!! You can get a bottle for as low as $6.50!! < Diffusing on the daily!